"A blank screen, he's got a blank screen!" Welcome to Thing 1 of R23: 23 Things for Information Skills. Thing 1 and Thing 2 are essential reading in order to progress with the rest of this course. One of the core elements of a 23 Things course is self-discovery and reflection. These are valuable learning methods and we know that you will get a lot more out of this course if you embrace them throughout. We will have lots of opportunity in each module for you to discover and learn on your own. In order to be eligible to apply for a Digital Open Badge you must reflect on that learning and write a reflective blog post on your thoughts and learning experience. That is where the blog comes in. 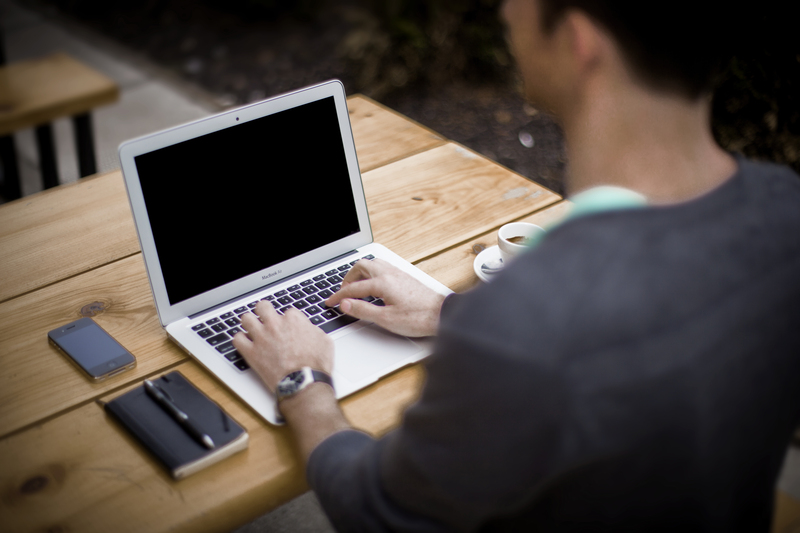 Blogging can be a valuable tool for career progression as you record your CPD activities, share your experiences and connect with others online. We will talk more about the benefits of blogging in Thing 2. In this bog post we will show you how to set up your own blog. A common starting point for us all in the world of blogging is a blank screen. And possibly a blank expression. Well, don't worry, we've all been there, and I'm going to walk you through the whole process of starting a blog from scratch. By the end of this post, you will have seen some "how-tos" on creating a blog, writing a post, following other bloggers, and most importantly, you'll have seen that it's pretty straightforward when you get stuck in. So, what is a blog anyway? It's many things to many people, but where the word comes from is a combination of the phrase "web log". Many users initially saw blogs as a way to keep an online journal (or log) of their lives. The uses have since expanded, and now there are many forms of blog, but they all involve a user writing a "post" and publishing it to an online tool. The user can choose to keep the blog private or leave it open for anyone to see. For those that go public, there is the option to gain followers/fans, and there are even cases of bloggers making a living out of their writing. The benefits of sharing your blog include opportunities for others to engage with your posts, to share ideas, and as a support network. Firstly you will need to decide on which blogging platform you wish to use. There are many out there, and each has pros and cons. What is common to all platforms is that you will need to create an account to use them. You can think of this in terms of when you were setting up an email address for yourself: you could choose from Google, Yahoo, Hotmail, Vodafone, etc. They all essentially do the same thing, but there are a few to choose from. Well, it's the same with blogging tools. I'll go through some of the options in the next section, to help you decide which one you want to use. This will come down to personal choice, really, but to help you decide, I'm going to introduce you to a few options. The three platforms that I have tried out in the past are Blogger, WordPress and Tumblr. Tumblr has become a well loved micro-blogging tool by librarians. Just search for the hashtag #tumblarians to get an array of librarian humor and real librarians sharing their workday lives. The best way to decide which one suits you is to have a look each of them online. I have also added a link in the "Want to know more?" section below, which goes into a bit more detail about each of the platforms. My thoughts on the three platforms. Unless you are willing to pay for hosting to set up your own WordPress site (which can look VERY professional, but costs money), then Blogger or Wordpress.com (the free version of WordPress) are your best options. Tumblr is fine, and arguably has the best mobile app (iOS andAndroid) of the three. However, it doesn't have the same administration tools as the other two. Blogger is a bit easier to use for a beginner but doesn't look as fancy as WordPress. If at a later stage you wish to transfer your blog into a self-hosted website using the full (paid) version of WordPress, then you can easily export your Blogger blog to WordPress. So, it is up to you to balance the pros and cons and decide which platform suits you best. Any of these three will work fine for Rudaí23. Which blogging platform do I use? Well, actually, I use all three! When I started blogging for my students, I decided to use Blogger, as I found it easier to get up and running on it compared to Wordpress (at the time, Tumblr was not as mature as it is now). A few years later I wanted to spruce up the look of the blog, so I tried moving it to WordPress. What I found was that the blog was no longer showing up in search engine results, so I switched back to Blogger. If I had been using WordPress from the start, I would not have had this problem. I had created a "track record" and had gathered followers through my Blogger site and so it made sense to leave it there. Another BIG reason why I choose Blogger to begin with is that it is completely integrated with my Google account, so everything is really smooth: I can link my Google Calendar, Drive, Photos, Google Plus and YouTube stuff to my Blogger blogs very easily. They all work well together because they are all part of the one account. By the way, you may have noticed that the Rudaí23 blog is also created using Blogger! More recently, I have started using Wordpress.com for my personal web site. There is a blogging element to this site, but I use it more as a "landing page" for my web presence. This is an example of an advantage of Wordpress: it can be used to create websites, not just blogs. I also use Tumblr because I like how easily it works on my iPhone. It is very convenient for blogging on the go. I tend to view it as "Twitter Plus", in that I use it in a similar way to Twitter, but it does not have the limitation of just 140 characters. It is so easy to share media content (as well as text) using Tumblr, so it is a great option if you have something short and snappy to share. I have my Tumblr and Twitter accounts linked, so anything I create on Tumblr also gets published automatically on Twitter. Whatever platform you decide to use for your blog, that is absolutely fine. 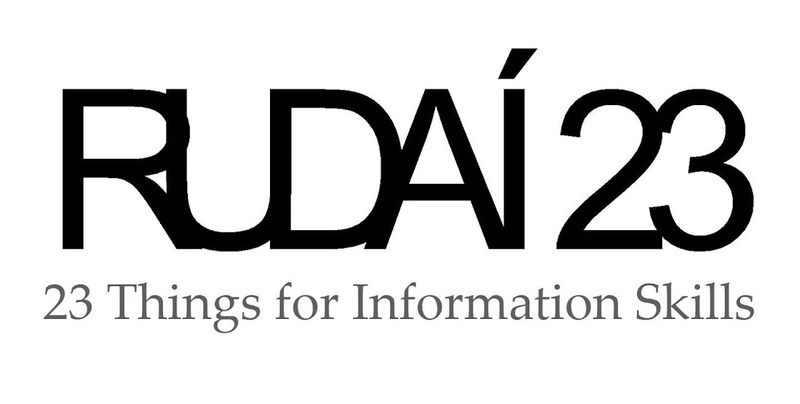 When you have created your blog, its URL will be shared to other Rudaí23 users, and we will be able to work with you no matter what way you decide to go. However, for the purposes of sharing a tutorial with you, the next thing I am going to show you is how to get up and running with Blogger. There are only a couple of simple steps involved in setting up a blog using Blogger. 1. Blogger requires a Google Account. If you do not have a Google Account, you can watch the video below to see how to set one up. If you already have a Google Account, you can skip this step. 2. Once you've logged into your Google account you can set up your blog. The video below shows you exactly how to do this. In this video, you will also see how to publish a post, which is the basis of "Thing 2"
You will then be asked to sign into your google account, or set up a google account if you do not have one already. You will then be asked to choose a blog title and URL. These do not have to be the same. If you choose a long blog title, you might prefer a shorter URL. Take some time to think about your URL and blog title, you will be sharing this with your professional peers. Your URL is the information that we need to complete registration. More on that later. You will now be brought into your blog editing page. Here you will see a menu of options on the left, where you can chose the theme, layout, background and write your first post. On the top left click on 'view blog' and a new tab will open showing you what your blog looks like on the web. Every time you add an element to your blog, change the layout, or compose a post you can preview it before committing to it. That's it! You're now up and running with your blog! If you chose to use Wordpress or Tumblr or a similar blog platform the set-up are broadly similar to blogger and relatively simple. Try it out and see how you get on. Complete our registration form, including the URL for your blog. Click here to complete Step 2 of our registration process once you have your blog set up. Writing your first post will be coming up in Thing 2. Blogging, and the finer detail of how to use your chosen blogging platform, is something that you will get better at with practice. One of the best ways to find out how your chosen platform works is simply to experiment with it. Have a look around at the settings. Play around with the themes. See if you can figure out how to add images to your posts. For a more detailed comparison between the three blogging platforms outlined above, have a look at the following link. It is about a 10-15 minute read. Thing 1 is written by Wayne Gibbons, an Educator and Social Media enthusiast.